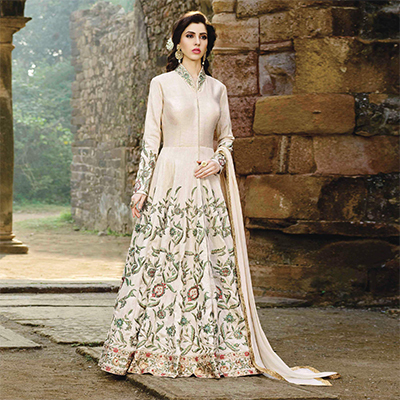 Go ethnic on your parties wearing this eye-catching cream art silk anarkali suit. 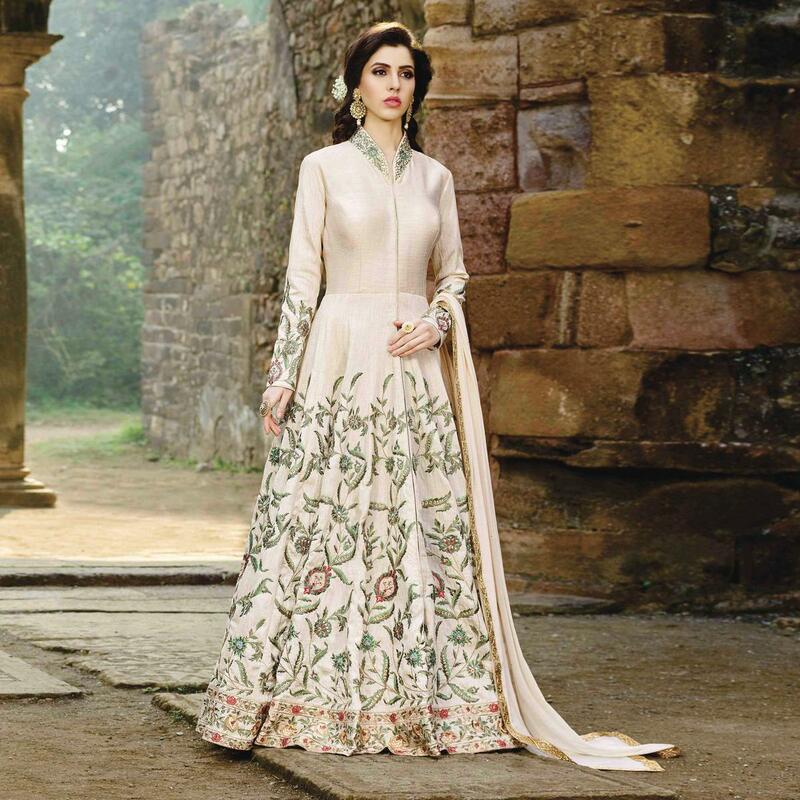 This beautiful designer suit is prettified with heavy embroidery which makes it appear classy. Available with matching santoon bottom along with georgette dupatta. Women can buy this ethnic dress to wear for their upcoming functions and occasions. Team it with ethnic accessories and high heels for a complete look. This attractive gown would surely attract you showers of compliments when you wear it. Grab this dress before someone else gets it and wear it. Length Chest upto 34 - 42 inches and length upto 58 inches.